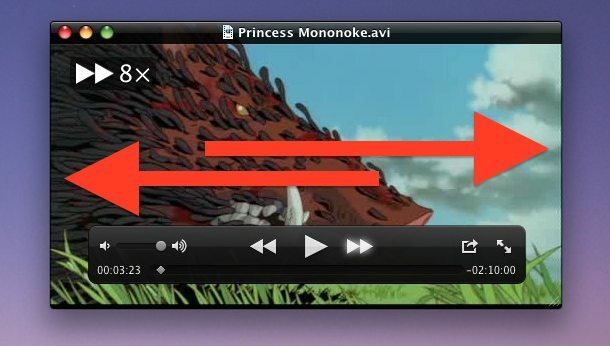 You can fast forward or quickly rewind any video playing in QuickTime Player in Mac OS X (or Windows if you go that direction) by using a trackpad or magic mouse. This is really easy to use but it’s best followed along and tried out yourself than just reading a tutorial, so launch QuickTime Player with a movie of some length so that you can test this out yourself. 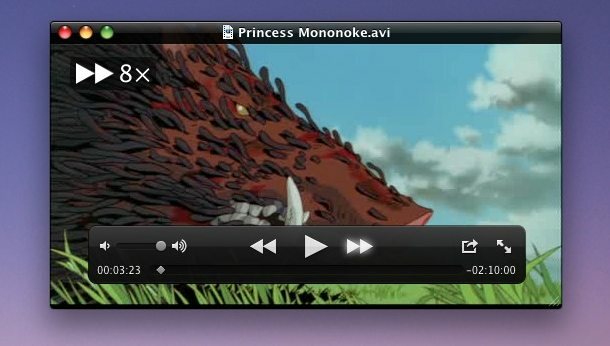 The QuickTime app is located in the /Applications/ folder of OS X, older versions may be stored as QuickTime Player in the Utilities folder too. To fast forward, simply drag two fingers horizontally across the touch surface to the right. To fast reverse, simply drag two fingers horizontally the other direction to the left. If nothing else, remember that dragging to the right will fast forward, dragging to the left will fast reverse. The distance and speed of your drag in either direction effects the speed of the playback, from minimal speed increase up to 8x fast forward mode. Try this out by quick flipping to the left or right with two fingers, you’ll see how the speeding changes quickly as well. This has been tested to work with with all modern versions of QuickTime Player in all modern versions of Mac OS X and even Windows, though the very critical other requirement would be a multitouch supported tracking surface that allows you to use the two-finger gestures to drag forward or back to perform the appropriate action. Got these down? Don’t miss some other handy keyboard shortcuts for QuickTime Player. This also works on Quicktime 7 on a Macbook Pro, using two fingers on a track pad. Very convenient. Note that you can install both Quicktime 7 and Quicktime 10 on the same computer. I loved this feature when I had a mid-2012 Macbook Pro. However, I now use a mid-2015 Macbook Pro (Retina Display – with Force Touch Trackpad) and this feature seems to no longer be there! Sliding two fingers during playback seems to simply scrub the video instead. Is there any way to bring back this great feature? 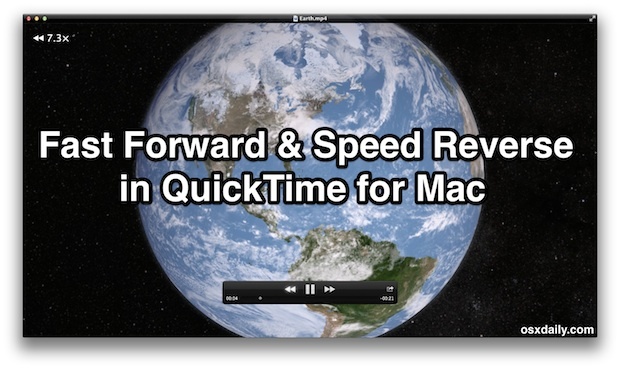 Note: The version of Quicktime I have is 10.